We all know that if you top off your gas tank you will be able to drive your car longer before you need to stop for a refill. But is this one-time benefit really worth the damage that it causes to the vehicle, environment and to you? 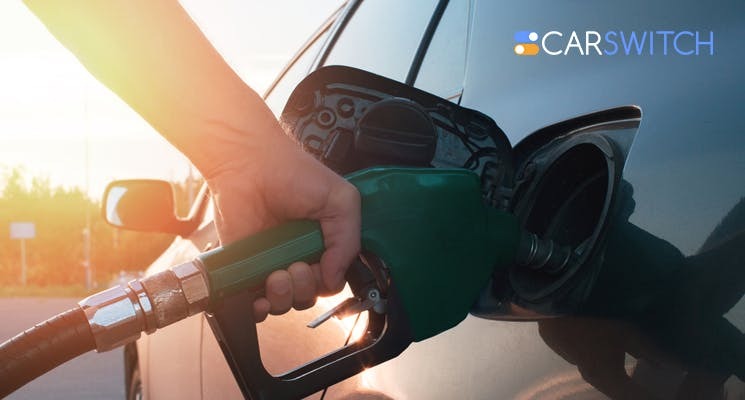 CarSwitch.com talks about the potential risks of overfilling the gas tank of your used car in Dubai. The air nozzle is designed in such a way that it clicks off automatically when the tank is full, which signals that no gas should be added anymore! The pump also turns off when it reaches the maximum level. After the pump turns off, it leaves room for fuel expansion in the tank. It also allows the evaporative emissions system to collect and re-burn fume vapors to properly work and reduce harmful emissions from the vehicle. However, due to topping off of gas, the air dome is reduced and the raw gasoline may enter the carbon filter (also known as charcoal canister) which is the most important component of the vehicle’s evaporative emissions system. This raw fuel can disrupt the evaporative emissions system and cause it to not operate properly. Moreover, when the raw gasoline enters the filter, there is a chance that it may spill on the ground or enter the engine, which can lead to poor fuel mileage and emissions as well as an overall decreased engine performance. The gas fumes released contribute to bad ozone days and carry toxic pollutants such as benzene, as determined by the Air Quality Index. The gas station pumps are equipped with vapor recovery systems, which feeds back gas vapors into their tanks to prevent vapors from escaping into the environment and hence, polluting it. If the car’s vapor recovery system is damaged, then it will not perform its basic function i.e. protecting us from harmful vapors. The toxic fumes inhaled are not safe for your body as cancer-causing agents may be present in it. In monetary terms, damage to the filters is expensive to repair, so overfilling the tank may end up straining your pocket. Moreover, if the tank is overfilled, extra fuel may be drawn back into the vapor line and fed back to the storage tanks, so any excess gas pumped into the tank and paid for can be drawn back into the gas station’s storage tanks. Therefore, you are essentially paying the gas station to take back some of their own gas. With all this information, you need to see that topping off the gas tank in your used car in Dubai has evidently more drawbacks than benefits. It causes severe negative impacts on your car, on the surroundings as well as your pocket and health.Do you want to upgrade your car? Check out CarSwitch.com’s collection of pre-inspected and used cars in Dubai. We provide a transparent and trouble-free buying process. Happy shopping! Are you planning on buying a new or used car in Dubai? Chances are you debated. Wacky or wonderful? 5 car concepts from the future! Unlike a Dubai used car, a concept car is a prototype of a vehicle that has. Auction of Special Number Plates Will Be Held in Dubai Soon! Do you want a special number plate for your lavish used car in Dubai? Well, get.